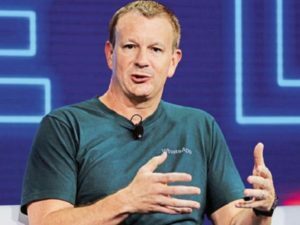 In a rare public appearance on Wednesday, 13 March 2019 at Stanford University, WhatsApp co-founder Brian Acton urged students to delete their accounts from the social network Facebook. This was despite his having sold his own company to Mark Zuckerburg’s social media giant for $19 billion (R275 billion) back in 2014. Acton has been a vocal critic of Facebook since leaving the company in 2017 over issues with Facebook’s desire to monetize its services. This also isn’t the first time that he’s called for people to delete their accounts: he said the same thing last year, following the Cambridge Analytica scandal.